Before placing your order, please note that we package all of our products to order each week. Orders close at 4:30PM on Monday for packaging on Tuesday and shipping on Wednesday. Any orders received after 4:30PM on Monday will be processed the following week. 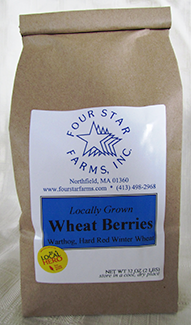 These slender berries have a slightly bluish-green hue and pack a tremendous amount of flavor. 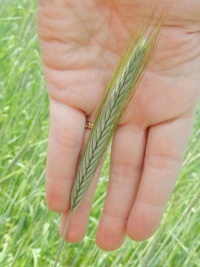 Easily substitute for wheat berries and hull-less barley to create unique flavor profiles in your recipes. 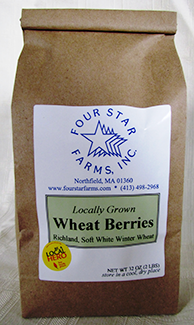 Want to add more crunch and flavor to your loaf of bread? 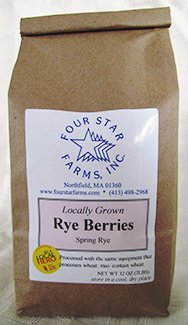 Try cracking rye berries with a rolling pin and add them to your dough. 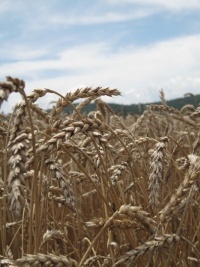 All of our grains are non-GMO and grown here at the farm.